The Style Council were Paul Weller (vocals, guitar), Mick Talbot (keyboards), and Steve White (drums). 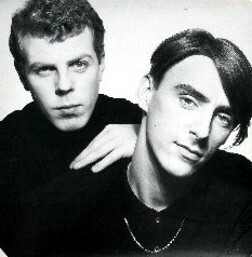 Active from the early 1980’s to their demise as a group in 1989, The Style Council were an enigma of that decade in music. They were unclassifiable within the milleu of genres that came to characterize the decade. They were neither pop, nor new wave, nor progressive rock. And they weren’t jazz or easy listening either. 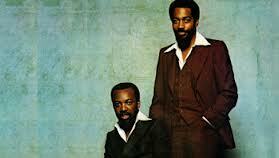 They have no clear musical disciples although their influences were certainly from soul, jazz, and later, rhythm & blues. In my view, it was this very musical conundrum that made them an important part of the Eighties. Weller, having just disbanded The Jam after their hit album The Gift (Polydor, 1982), seemed to take a mellow turn in musical style, exploring jazz and string arrangements with Talbot’s soul-infused hammond and piano work. 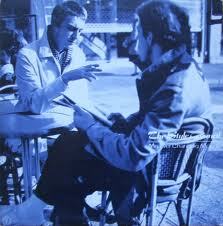 Their first release was a mini LP, entitled Introducing the Style Council (Polydor, 1983). 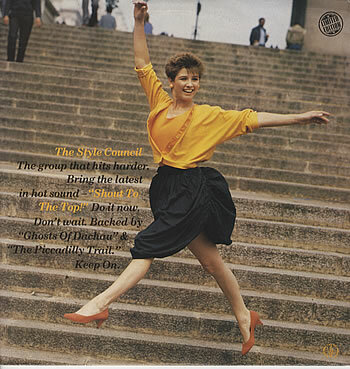 It included the iconic hit, “Long Hot Summer” which put The Style Council on pop music’s radar but only charted modestly outside of the U.K.
Aside from the easy-going hit, the collection was remarkably varied in style. “Headstart for Happiness” was a feel-good pop tune with Weller’s driving vocals and soulful backing vocals by D.C. Lee (who Weller would later marry). That track, along with “Speak Like a Child” have definite Motown influences. “Money-Go-Round,” on the other hand, is proto rap. They would dabble in rap stylings in later releases but this one is the least clumsy of their outings in that genre. It was bold to include the track but not unexpected since its message was consistent with the group’s politically left leanings and their criticism of Thatcherite policies of the day. A full length album was released a year later with 10 new songs and two from Introducing. My Ever Changing Moods (Polydor, 1984) was more consistent stylistically than their debut, with the exception of “A Gospel” and “Strength of Your Nature.” “A Gospel” was another experiment in early rap and was too brash and contrived to believe. “Strength of Your Nature” is a hard hitting number, more similar to The Jam’s style but not as melodically satisfying. The title track and “You’re the Best Thing” were particularly successful, the latter making it onto numerous Eighties compilations and becoming one of the more recognizable love songs of the decade. The rest of the album is a mix of soul and jazz with a deliberate nod to the French jazz tradition. “The Paris Match,” featuring Tracey Thorn and Ben Watt who had recently formed Everything But the Girl, is a smokey jazz ballad. “Here’s One that Got Away” features a jazz violin lead-in that smacks of French legend Stephane Grappelli but was played by British violinist Bobby Valentino. Strings were prominent in The Style Council’s sound in the first half of their active years, culminating in the hit Shout to the Top! released in 1984 as a single EP. The song became an anthem of sorts but once again defied classification. It enjoyed the success of a pop song but John Mealing’s exuberant string arrangement had us guessing once again whether this was jazz, soul, disco or something entirely different. The follow-up to My Ever Changing Moods was 1985’s Our Favourite Shop (Polydor). Stylistically different yet again from what they had done in the two years prior, this album was less jazz and more pop with richer production. Two notable singles, “Walls Come Tumbling Down” and “Internationalists” continued the Council’s strong social activist messaging. “Walls Come Tumbling Down” was also a commercial hit, charting as high as number 6 in the U.K. The overall sound of this album is more lush than their previous work, incorporating heavier bass, more electric keyboard sounds, and fuller backing vocals. Weller & Talbot’s compositions are just as strong both lyrically and musically as the Moods album. 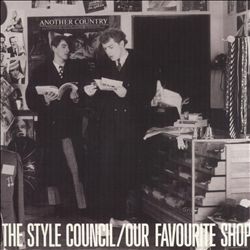 Paul Weller is quoted as saying Our Favourite Shop was The Style Council’s culmination. Although the band would record three more LPs, including the commercially successful Confessions of a Pop Group (Polydor, 1988), I can’t help but agree with his characterization. 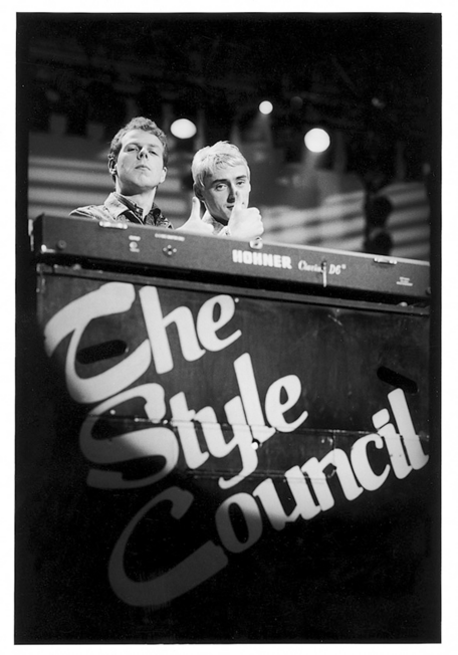 The Style Council’s first three releases were unique for many reasons. 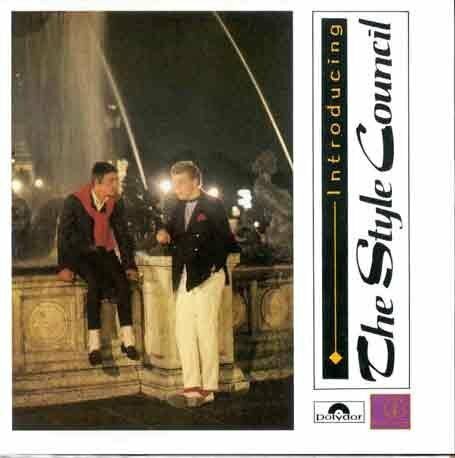 In a decade that gave rise to the new wave genre and mega-acts like U2, Madonna, and Michael Jackson, The Style Council quietly created a body of work that that was unmatched at the time and never really emulated by bands that followed. An anomalous spur of musical evolution, you might say. But a damned good one.